Microsoft has released six new patches whereof five are rated as critical, allowing for remote execution. One of the vulnerabilities fixed is "wormable" and for some of the vulnerabilities, the exploit code is already publicly available, so make sure you install the updates as soon as possible. 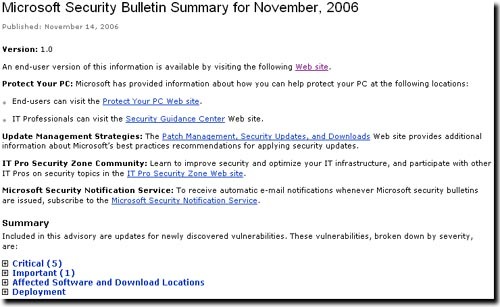 More information is available from Microsoft's November Security Bulletin.